The most elegant and cozy accommodations with a host of modern amenities at one of the most relaxing green hotels. From Keurig fresh brew coffee makers to Wi-Fi to balconies overlooking our courtyard gardens, our rooms guarantee a one-of-a-kind lodging experience. 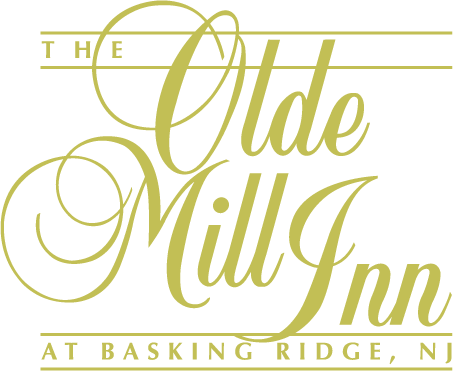 Offering allergy-friendly PURE rooms and elegant Grande Suites, the Olde Mill Inn can accommodate the needs of every traveler. Our rooms offer a truly tranquil setting for today’s businessperson, bride and groom, area visitor, or local resident seeking an overnight retreat. Our charming, spacious, luxury rooms include voicemail, hairdryers, Keurig K-Cup fresh brew coffee makers, full-size iron and ironing boards, in-room safes, wireless Internet access and a work desk. Our Deluxe rooms include all the amenities of our Luxury accommodations with the addition of a wet bar, microwave, refrigerator, Keurig K-Cup fresh brew coffee makers, Fiji bottled water, and your choice of King or Queen-size bed. Our two Grand Suites – Jonathan Dayton and Sir Francis Bernard – offer the ultimate in spacious luxury. Each suite includes a beautiful traditional living room, dining area and half bath, plus a separate sleeping room with luxurious King Bed and a full bathroom including a Jacuzzi tub. Both suites include wet bar, microwave, refrigerator and two flat-screen TVs. The Sir Francis Bernard Suite also features a fireplace. These truly “grand” suites make any guest feel pampered. Discover greener, allergy-friendly PURE rooms for a healthier night’s sleep at the Olde Mill Inn. This group of rooms is of particular comfort to those guests who have allergies. PURE Rooms are scientifically cleaned removing all micro-organisms from the room, then sealed to keep that freshness for the most revitalizing New Jersey lodging experience.